Denver Comic Con A-Go Go! Oh, the excitement of it all! 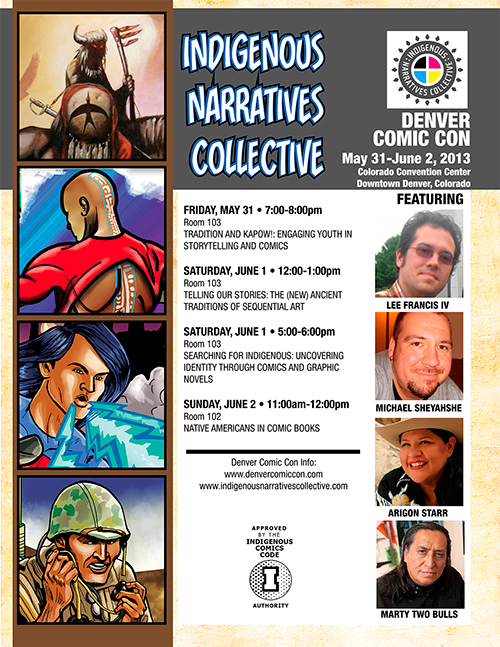 Arigon will be joining fellow Indigenous Narratives Collective members Lee Francis IV, Marty Two Bulls and Michael Sheyahshe at the annual Denver Comic Con. The group has multiple panels and will also have a booth/table at the Exhibit Hall. The on-sale date for “Super Indian Volume One” is Wednesday, June 5th. As soon as we get the official link, you KNOW it will be here. In the meantime, check out the Comixology site and start making a wish list! 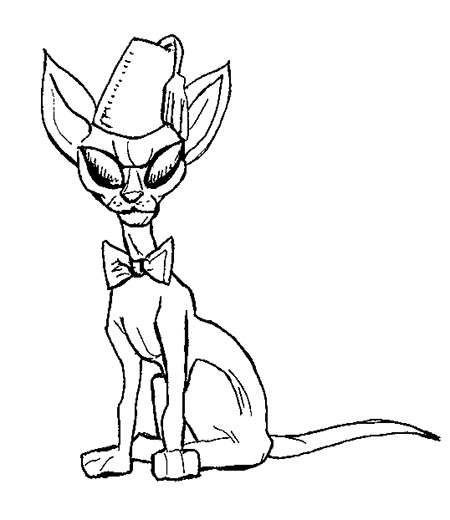 In the meantime, enjoy one of Arigon’s sketches from her time at Phoenix Comic Con — it’s our favorite feline Kyle — as a “Doctor Who”-styled Time Lord!